Twin bombings, pools of blood, at least 44 dead: it’s a week before Easter and both Christian and Muslim Egyptians find themselves in the middle of deadly standoff between the Islamic State (IS) and the Egyptian government. Only 110 days after the last major church bombing, the government insists it is victorious in its fight against IS in Sinai and refuses to see the reality of an insurgency spreading across the Nile Delta. Such stubbornness has not only borne deadly attacks, but has also served to undercut an all-important Christian support base for an ailing regime. But these two deadly attacks come at a perfect time for a regime consistently looking to press its oppressive hand: the only winner here is Sisi. Mere hours after IS took responsibility for the deadly blow, Sisi countered by declaring a three-month state of emergency throughout the land. In the land of extrajudicial killings, forced disappearances, political imprisonments and pulverised oppositions, what does a state of emergency mean you ask? A great deal and none of it pleasant or constructive. In a dark twist, the ex-army head and current strongman Abdel Fattah al-Sisi offered in the wake of the attacks yet another military band aid: the army would help police in securing vital institutions. In other words, despite the fact that most problems in the country are directly linked to and rooted in military dictatorship, the best solution on offer involves – you guessed it – the military. There can be no mistaking that, in this situation, Egyptians find themselves in a dark cave, with one end patrolled by an IS snake and the other “protected” by the viper of state terrorism. Unlike the viper, when IS strikes – and lately it has chosen a particularly venomous sectarian tone – its strike is quick, deadly and limited to those in the physical vicinity. But in the case of the Sisi ruling hierarchy and its despotic decision to implement a state of emergency, a nation of 91 million is now at the whim of an autocrat. Looking for a light at the end of the tunnel in Egypt? It is the onrushing train of the emergency law. It is a valid question and the answer should be too: whereas Mubarak had clearly delineated red lines and made a farce of the democracy for the benefit of the West, Sisi has no such lines without the emergency law. Under Sisi, Egypt has already witnessed unapparelled human rights abuses. Thousands have been killed, more than 60,000 have been imprisoned for their political beliefs and more than a thousand citizens have disappeared. And extrajudicial killings? After Trump gave Sisi carte blanche in DC last week, those figures also rose. 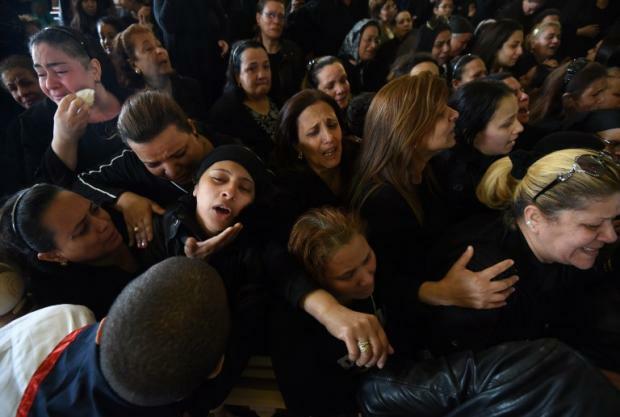 And now with an organised enemy like IS which promised more deadly attacks against Egypt’s Christians in December when they struck a major cathedral and killed 25, a Pandora’s box of mass punitive measures masquerading as law has been opened. What Sisi has practiced so far has been grisly. What follows may be hellish. The idea that Sisi’s emergency laws will be different from Mubarak’s is the key point to bear in mind. At first glance, the new laws may appear to be kinder and gentler: they can only be declared for three months at a time and only if a parliamentary majority approves, and to be extended, a two-thirds majority is needed. But the sinister bite will come in the courts. 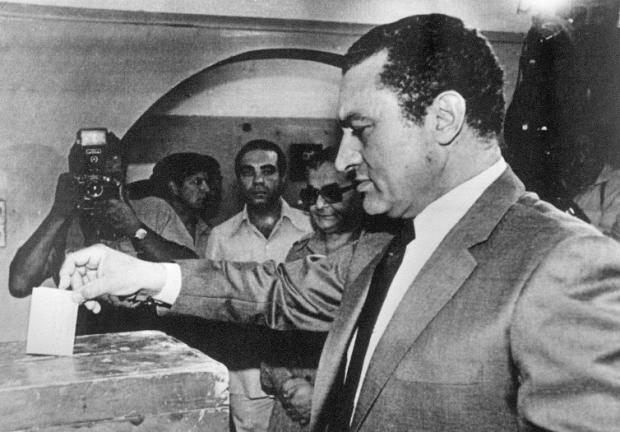 The regime cannot afford to lose its (false) “security first” reputation and has, essentially, pressed the nuclear “legal” option by declaring a state of emergency – or a “legalisation of the violation of every single right”, according to Egyptian human rights lawyer Mahmoud Belal. 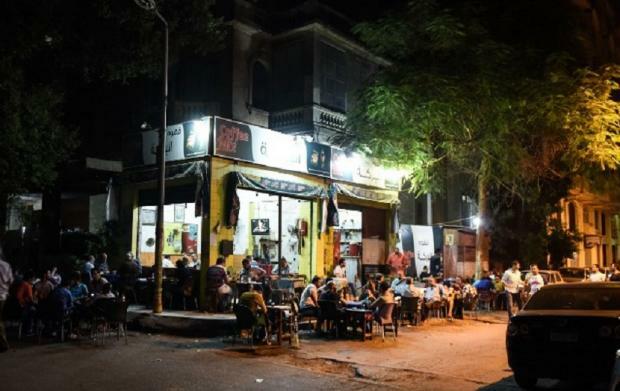 Imagine you are at a Cairo cafe late one spring night only to be stopped by a roving checkpoint for your national ID. Nightmarishly, you discover that you forgot it in another wallet. You’re arrested. Worse yet, once arrested, you will go before a national security court, which for all intents and purposes functions as a military court, with the only chance for appeal through a military ruler. But the emergency law also serves to give the state a total stranglehold over the press and freedom of expression – not that there is much to speak of now anyway. In explicit terms, the law grants the government the ability to both monitor and censor any and all publications before publishing and, most importantly, without showing cause. A day after the twin attacks, Al Bawaba, a very pro-Sisi newspaper, had its issue confiscated. Their staff was surprised, but they shouldn’t be: in the months to come, more than ever, national security will be the password for unmitigated draconian rule. A gathering of friends can be construed as an attempt to overthrow the government. Email – which, of course, will be monitored – can and will be used against you. The law will decide who passes where and when and when stores open and close – “1984” you say? Worse. No room for manoeuvrability here with power solely in the hands of the hundreds of thousands of security forces. Put simply, the emergency law legalises the Sisi dream: full dictatorship without pretence. That is the viper’s intent. The snake, however, works in less mysterious ways. IS has shifted its strategy and Egypt is likely looking down the barrel of a loaded gun of future sectarian terror attacks against the country’s 10 million Christians. No secret there, and Sisi plainly said so in his post-attack speech on Sunday, acknowledging that the confrontation will be “long and continuous”. He may have tried to link the Muslim Brotherhood to IS, a tactic which analysts endlessly debunked, but Sisi was right about one thing: this insurgency is about to take a turn for the worse. Think of it in practical terms: as it continues to lose ground in Syria and Iraq, a disciplined enemy is bringing its elite human, tactical and strategic resources to destabilise the most populous Arab nation. Is there anything more dangerous than a group in its final stages of disintegration? In a dark twist, IS’s strongest ideological weapon is its ability to see Egypt’s sectarian underbelly. He will likely not do more than whisper his hate in the coming days, but this example shows the problem is not just a few extremists. She may not be an analyst, but she put her finger on the crux of the matter: in Egypt, there are many young Muslims who are easy fodder for IS and that is a bigger danger to Egypt than hundreds of terrorists. There will be those who scream, repeatedly, in the Sisi camp, in Washington DC and other capitals, for a simplistic solution of gun for gun. But the solution lies in mind for mind. Fail to change minds and speak to souls and the battle against terror in Egypt is a lost cause and explosions will be the least of our worries. – Amr Khalifa is a freelance journalist and analyst recently published in Ahram Online, Mada Masr, The New Arab, Muftah and Daily News Egypt. You can follow him on Twitter@cairo67unedited.